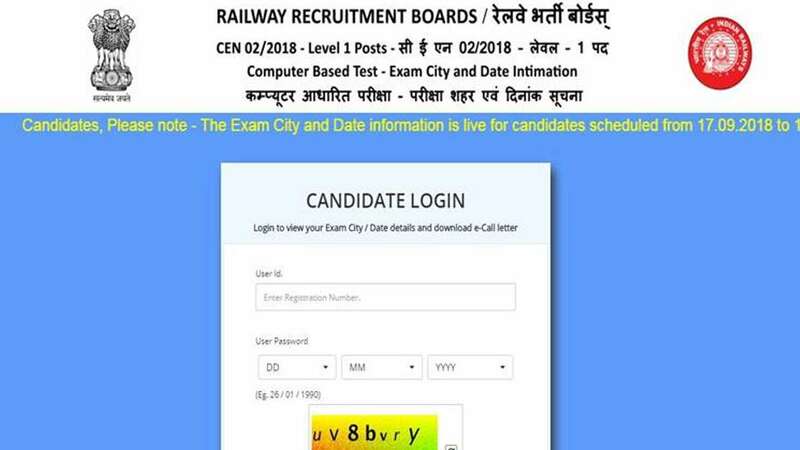 New Delhi : For all the aspirants who are appearing for the upcoming Railway Recruitment Board Group D examination, a link to download admit card has been made active. Candidates have been complaining over being unable to download the admit cards from the official website. They showed their anger on the social media networks too. “Exam is 19 and Admit Card is not being downloaded for 2 days. Waah Re Teri Service, Waah Teri Mantrimandal. What if this does not mess with the youth,” an RRB Group D candidate posted. Post complaints, the RRB later issued an statement claiming that for the candidates who are unable to download the admit card have been provided details of the venue via SMS. They can get their admit cards printed from centre itself on the day of examination. Those who successfully qualify the test will be called for PET or stage 2 of the exam, the dates of which will release post result declaration of stage 1.